SCA Hygiene Products Aktiebolag v. First Quality Baby Products, LLC, No. 15-927 (laches in patent cases). How about it, Prof Crouch? 4.4.1: move all of the hi jack thread comments to another page, catalogued by topic. Justice Breyer may even spring for pizzas over the weekend to get it done. You tell me what perception is created by the ignoring of the Malcolm h1jacks…. Yesterday a desperate (former) patentee floated a couple “IPRs are unconstitutional” arguments before the Federal Circuit. You can hear the arguments right at the beginning (they’re not worth repeating). I guess I shouldn’t call them “arguments” because the judges (Prost, Dyk, & Reyna) just sat there and listened, probably bored out of their minds. The rest of the argument is a real hoot. The patentee wishes to remove a 103 reference (“Bork”) on the basis that it “only made a suggestion” (to use a USB cable for recharging a device) without enabling it (an argument that was never made before the Board). After that reference is removed, according to the patentee, then everybody can see that the idea of using a UCB cable for recharging is just hindsight. Now that’s some serious spinning! This will be a Rule 36 affirmance of the Board’s correct decision. Buh-bye patent. Again, how is this relevant to the topic here, which is Supreme Court cases? PB: How is this relevant to the topic here, which is Supreme Court cases? Competent patent attorneys are aware of pending cert petitions relating to the constitutionality of IPRs (the issue argued in the oral argument I summarized for you). Oh lookie! One such petition is discussed right up there in the post! And it’s the same case that was discussed in oral argument. I hope this answer addresses your super serious concern, PB. Keep hacking away! You’re very serious. Ryan Schultz of Minneapolis argued on behalf of Affinity Labs that the Federal Circuit got MCM Portfolios LLL v. Hewlett Packard wrong on Article III and the Seventh amended. What is pitiable is that they simply repeated the arguments we made already and to the same panel, Dyk and Prost. Did you have a sense of déjà vu, Ned? Because you came up with them first, right Ned? anony, I am not sure they were not presented to the court back at the time of Patlex. But we sure presented these same arguments to the court and the court ignored them. Anybody who knows anything on this topic knows why they ignored them. Which is why we need the Supreme Court to weigh in against a rogue court. There is no other way to describe what goes on there. Oh, you didn’t read them somewhere? Most of the seventh amendment argument is right out of Lockwood. I read a law review article on the Stern case and Article III. The tie in to Marbury and property is my own. Come now Ned, who is the person that presented that argument to you? anon, well, if it was you, thanks. Oral arguments today in FairWarning IP, LLC v. Iatric Systems, Inc., arising from the PTAB’s tanking of the patentee’s “fraud detection method” using “rules.” Oops — almost forget! — these rules are applied “automatically”, on a computer. That changes everything … back in 2002. I’m not sure which judge is which, other than Stoll. But this was one of the most dismaying oral arguments that I’ve ever heard. The CAFC and both attorneys should be ashamed of themselves. storing, in a memory, a hit if the event has occurred; and providing notification if the event has occurred. The “problem” allegedly being addressed by this claim is that “there were no means of providing protection across ‘multiple’ ‘applications’.” The “solution”, apparently, is “use a set of rules defined in a ridiculously broad manner”. I predict this claim will correctly remain tanked and the CAFC will likely issue a Rule 36 judgment. Absolutely no credit should be given to the petitioner’s attorney. She did an awful job of preparing herself for the obvious questions and dropped numerous softballs. The judges had to come to rescue a couple times, and I’m sure they didn’t enjoy doing that. Judge: “Let’s assume I want to patent an improvement on teaching swimming. And what I have come up with is an improved way to teach swimming. You get a pool that has to be at least 4 feet deep so people don’t hurt themselves. You have a student. You have a teacher. And the teacher says to the student ‘Jump in the water and move your legs’. And I write a series of claims explaining how that’s to be done … you have students that understand the language, etc. etc. Would you say that’s a patent to an abstract idea? It’s a bad patent for a number of reasons but it’s hardly abstract, do you think? The student is at least two feet tall and has two arms and two legs and the method ultimately is [provide the instruction] to the student “Jump in and move your arms and legs”. Judge II: Certainly not abstract! Judge: There’s nothing abstract about that is there? It’s a crappy patent but there’s nothing abstract about it. Petitioner: R-r-right .. probably not. Judge: Thank you. That’s helpful. We know it when we see it don’t we? Petitioner: (sheepishly) Yes, your honor. If I was the petitioner’s client for that exchange, I would have stood up and fired her on the spot, told her to sit down, and taken the podium myself. I’ve sometimes wondered why we don’t see that happen in these exchanges sometimes. Surely the patentee could make a better argument than some of these lawlyers. What does this have to do with Supreme Court cases? PB: What does this have to do with Supreme Court cases? Ask one of your clients. Tell them that you tried really hard but you just cant find any link at all. The judge speaking from 0:16 to 0:49 is Judge Lourie. MM, your post got me thinking, particularly the bit about teaching one to swim. We know one can patent medicines. What about a diet? ALL medicines (ALL pharma) would fall if the logic used is used consistently. Correct. Indeed, we are already seeing the logic of Mayo/Alice being applied to pharma claims with predictable results. Mayo is the universal acid that dissolves all patents. Though, I prefer the exception that swallows the rule. Depends on what you mean by “a diet” (and the specifics of the claim, of course).. I assume you’re talking about a method of eating food and not a set of instructions for eating food. MM, not so much a method of eating food, but what food, when, etc. to achieve a specific result. I cannot remember the names of all of the cases now, but there have been several recent cases (to the best of my recollection, all decided as Rule 36 affirmances of summary judgments of invalidity under § 101) where a particular pet food company tried to patent dog diets. I cannot imagine that the outcome would be much different if you claimed a human diet instead, so I suppose that the answer to your question is “no,” one cannot patent a diet. Thanks. I assume that was a 101 type of rejection? We’re those “instructions” or a “methods” that were Rule 36’d…? 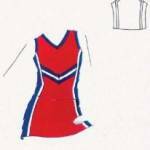 The case asks whether the stripes and chevrons found in a cheerleader uniform are sufficiently “separable” from the uniform in order to be copyrightable. Apparently the 3-D printing lobby has jumped in with amicus briefs “seeking clarity” and asking the Court to provide it. Unfortunately their brief doesn’t provide any suggestions to the Court for what that “clear test” looks like. Here’s a suggestion for a clear test: utilitarian articles (like cheerleading uniforms and other clothing) should have zero copyright protection for their designs. Malcolm’s “clear test” is analogous to the saying: great news, the patient is not sick anymore. Sure, the patient is dead, but he is not sick! Thanks but no thanks to that “cure” Malcolm. Still no government brief in Life Tech v. Promega? Maybe someone should offer to help them out. Should be any day now. The SG’s normal practice is to have some self-imposed deadlines for these sorts of things, depending on when the CVSG order came down. For Life Tech, I’d expect the SG to file its brief so that the Supreme Court can decide before it leaves for the summer whether to grant or deny cert. It’s running out of time to do that, but hasn’t run out yet. Are you related to the Seagate item…? anon, I believe most of the events occurred after I left. But I can tell you that when I was there, inventorship disputes were not all that uncommon. Typically the patent department diligently looked into them and made the call based on evidence. Just reading the case summaries, it does not appear that that is what happened here. The inventor complained, then he got fired. That to me seems ridiculous.